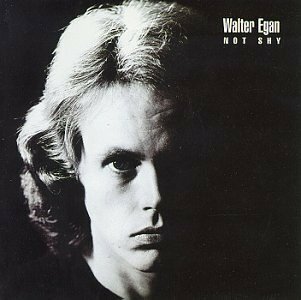 WALTER EGAN: NOT SHY: 1978: 4 STARS OUT OF 5 STARS: A one hit wonder “Magnet And Steel” is a song I have always loved- backing vocals by Buckingham and Nicks-it went to #8 on the Top 40. The song was inspired by Stevie Nicks after she dumped him. The album is in the Fleetwood Mac kind of pop- Lindsey Buckingham produced it. Enjoyable album. EVERLY BROTHERS: EB84: 1984: 3 STARS OUT OF 5 STARS: On The Wings Of A Nightingale got some attention as a single reaching #50- written by Paul McCartney- who also played on the album- paying back two of his heroes. Dave Edmunds produced the album. Frankie Miller, Jeff Lynne and Bob Dylan also covered. Not all the songs on here work but a pretty good effort after 11 years between albums. 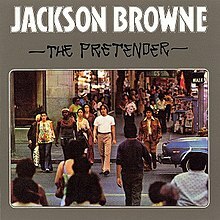 JACKSON BROWNE: THE PRETENDER: 1976: 4 1/2 STARS OUT OF 5 STARS: Released after the suicide of his first wife. Here Comes Those Tears Again was co-written with her mother. Other highlights- The Pretender, The Fuse and Your Bright Baby Blues. Many diverse styles of music on this one. Rolling Stone Magazine ranked it #391 in their Top 500 albums ever. ABC: THE LEXICON OF LOVE: 1982: 5 STARS OUT OF 5 STARS: ABC’s debut album and it is a pop masterpiece where nearly every song sounds like a hit- actually in the UK 4 were Tears Are Not Enough, Poison Arrow, The Look Of Love and All Of My Heart. I loved this album but was never very crazy about anything else they did. Two hits in the US- The Look Of Love and Poison Arrow. Sort of sounds like a concept album- the singer is looking for a meaningful relationship and it’s just not happening. 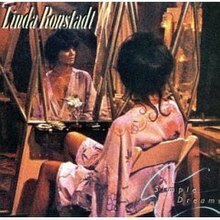 LINDA RONSTADT: SIMPLE DREAMS: 1977: 4 1/2 STARS OUT OF 5 STARS: #1 album on both the pop and country charts in the US. She became the first female artist and the first artist since The Beatles to have 2 hits in the top 5 at the same time with Blue Bayou and It’s So Easy. Those were Roy Orbison and Buddy Holly songs- she also covered The Rolling Stones- Tumbling Dice and a couple Warren Zevon [Poor Poor Pitiful Me was the third hit from this album } songs. This was the album that knocked out Fleetwood Mac’s Rumours from the #1 slot after a record breaking 29 weeks. Linda Rondstadt knew how to cover a song. She made them assessable to more people but didn’t change the spirit of the song… great voice. I think this may be her best album- at least the one I like the best. Whilst I love side 1 of Lexicon, after Look (part 1) on side 2, I think the album takes a nose dive. I’ve just zipped through the songs and remembered sitting on the Northern Line with it on my Walkman back in ’83/’84. 4 ever 2 gether seemed to drag on and on. Yep, the batteries were almost dead and the tape slowed to a stop just as the eerie voice slurred ‘Speak nnooo eevvv…’ It took me ages to realise. I can’t disagree with you- side 1 is the stronger side. One thing CD releases fail to get you is that side 1 side 2 experience. I miss that. My husband is a huge Linda Ronstadt fan. He loves Simple Dreams. I think it’s okay. To me all you need from Ronstadt are her two greatest hits albums, the red and blue albums. I love the first three albums from Jackson Browne, so for me The Pretender was a bit of a let down, but I can see why people love it so much. It’s a real album with a beginning, middle and end. Really cool to see ABC here. I’m a huge fan of Martin Fry and Mark White. No doubt this is their best album, but I think How To Be a Zillionaire is great too and Alphabet City is good if only for “When Smokey Sings”. I’m crazy about that song. I’d agree with Linda Ronstadt the greatest hits albums are what a person would need.